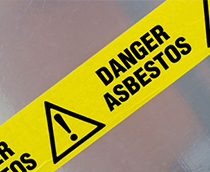 At Asbestos Waste Solutions Limited, we also pride ourselves on making your job easier and therefore conveniently stock a range of essential consumables for asbestos removal works. Our stock supply from bags, PPE consumables to warning signs and paint brushes are just a few items to mention, but if you want something which we don't stock, just ask and we will be happy to try and accommodate. For disposal of Contaminated Soils, AWS Ltd can arrange WAC (Waste Acceptance Criteria) testing and Asbestos Quantification to determine the destination of waste. For full details, call our friendly team who will be happy to take your order and pass onto stores to get it ready for collection.